A Virtual Private Server (VPS) has endless opportunities for you to set up your online business with reliability, power, and customizability. 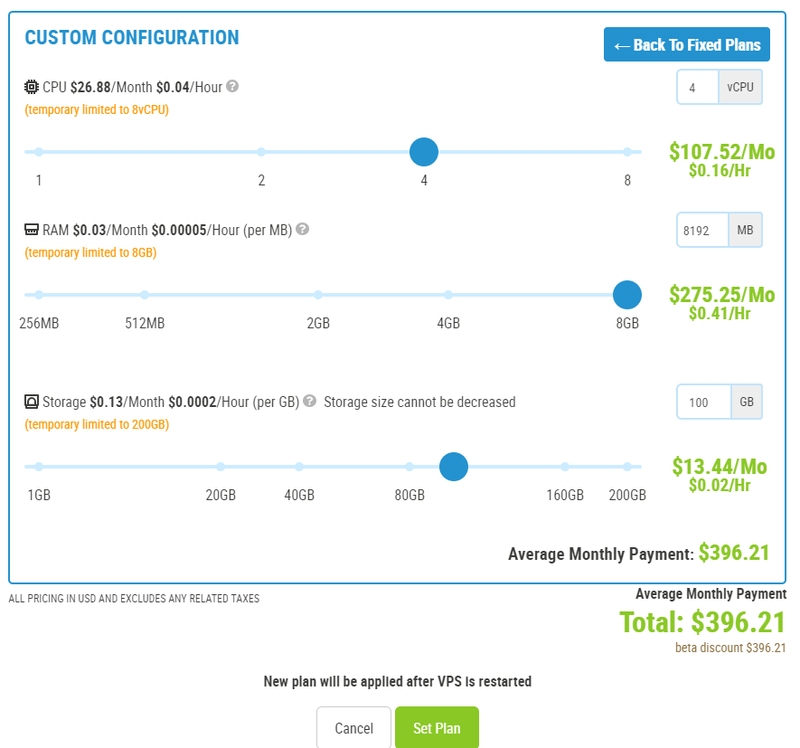 Lucky for me, a relatively new VPS service is offering their services for free. And this is not one of those gimmicky offers with limited trials or little to no computing power. SkySilk is offering their premium services for free as they are currently in beta. This is an excellent way for you to try out a premium VPS service free of charge and to see if this kind of service is right for you. Whether it be for hosting a website, bitcoin mining, running programs, or cloud storage services, a VPS can go a long way providing cheap and reliable power for whatever you need to host in the cloud. In this article, I’m going to do a hands-on review of SkySilk’s VPS including their specs and support. I can already say at the outset that this is probably the best free VPS service you’re going to get on the market right now. And trust me, I’ve been doing lots of research on free VPS services to offer my readers. Why SkySilk? Firstly, they’re currently in beta, meaning they’re going to offer the lowest possible prices and best possible services to entice new users to use their platform. Their services are currently free until the beta is over – so act quick! You can set up as many containers as you like with their normal package (more on that later) for no cost whatsoever. To conclude: this is the greatest VPS value you can get. As you can see, you can get quite a deal on SkySilk’s VPS – the amount of power they’re offering for free is sufficient for most websites and applications. 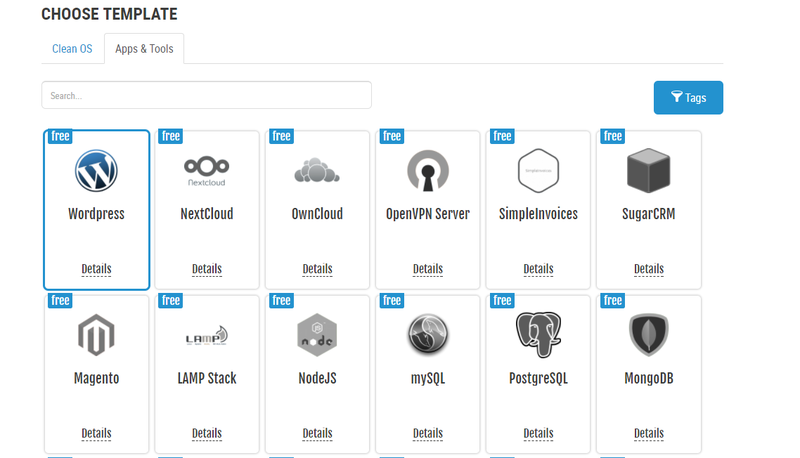 SkySilk supports quite a few apps and OS’s that will easily meet most users needs. The only complaint one might have is the fact that they currently do not support a Windows VPS, which would be quite handy for those who aren’t familiar with the language of Linux. Running programs or general setup with Linux can take some time to getting used to and can be quite a hassle for beginners. That being said, SkySilk’s support has a suite of articles that detail how to setup and use their VPS’s from scratch, making it quite easy. As a person who’s not overly familiar with VPS’s, SkySilk’s platform was very intuitive and easy to use. A person who knows nothing could easily set one up in less than a few hours. For experienced users – it would only take maybe 15 minutes max. Here is a screenshot of their custom configuration. As you can see, its pretty straightforward and price is built right in so its easy to optimize for the configuration and price that you want. Everything on SkySilk has a price but it’s currently free to use (except for their premium plan). The only potential downside I see is that you may get downgraded in the future once SkySilk goes out of beta, but since they’re going to maintain their free plan afterward. I don’t see much of an issue unless you’re running something that requires more computing power. The above two images show you what SkySilk’s VPS setup and dashboard look like. 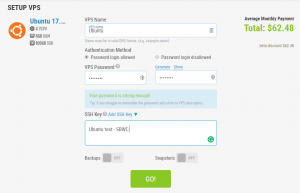 Setting up a VPS is as simple as a few clicks and their dashboard shows just the right amount of information you need without getting bogged down by the details. 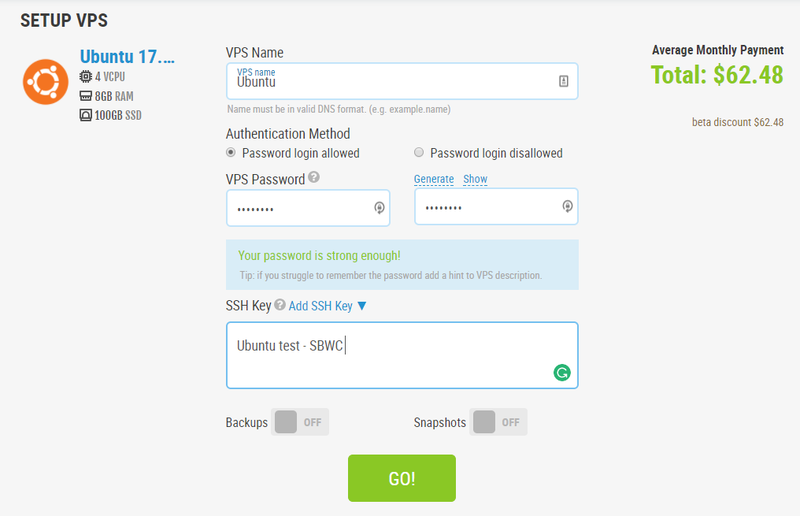 This is by far one of the best interfaces I’ve used for VPS services (most popular VPS services are on sites like GoDaddy which can be very frustrating to use as their interface is old). 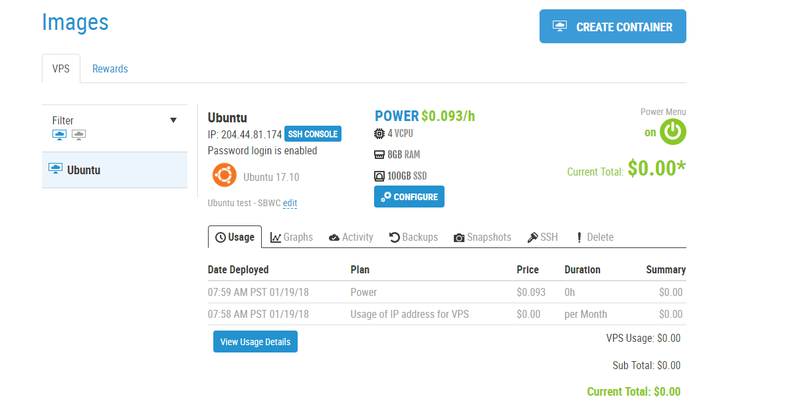 What I like most about the design is how the prices are tracked by the hour and the composition of your VPS is shown in a very easy-to-see layout. As of this writing, SkySilk is free to use, but they’re set up to take payments and they show all of their prices as if they’re not in beta. This is what their plan looks like for now. I’ve been told they may adjust prices and make a few changes prior to going out of beta. 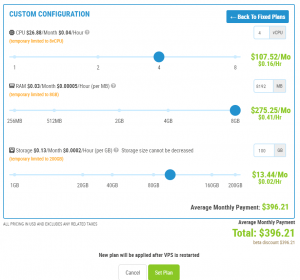 For just $5 a month, you can get unlimited VPS. Although you would be capped at 200mb/s, that allows for ample testing and playing around with their many apps and OS’s. Their pricing structure is nice but I would definitely like to see some more detail – what does “basic” and “premium” support entail? Of course, I wouldn’t be too picky yet since they’re not fully operational – this pricing table may not be complete. 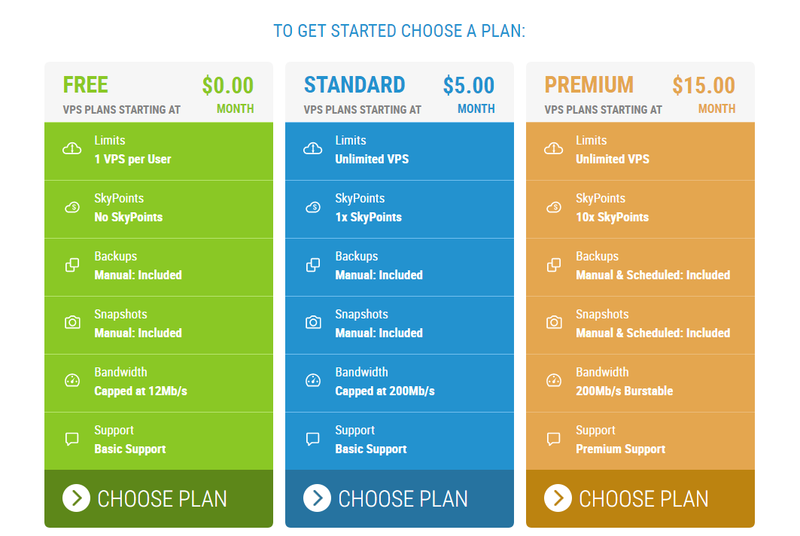 Since SkySilk is in beta, I don’t have too much to say about their pricing other than that its a really good value for the type of VPS service that you’re getting. As of this writing, I can say for certain that SkySilk has one of the best support teams out there. After shooting them a few technical support questions, I was replied to almost right away with an answer that was easy to follow. What’s just as important is their knowledge base – they have an insane amount of support articles already written, so getting help is just a matter of using the search function. I had a few technical setup questions that were all covered by their articles. Again, it’s a little too early to comment on their support services. 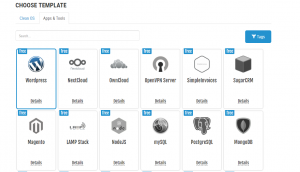 I can say for certain that SkySilk is fully prepared to handle customers and that their knowledge base contains quite a few guides that will help out any beginner user (you can setup a WP VPS within a few hours max). But when it comes to response times and the actual help that you’ll get, it’s too early to say until they start getting more customers and roll out of beta. I’ve been using SkySilk for a few weeks now and am very happy with their interface, support, and of course, its current free VPS service. SkySilk isn’t another gimmicky and clunky service that’s hard to use. With the ability to customize the exact computing specs you need, you could actually save a substantial amount of money relative to other services with set plans. They’ve put a lot of effort into their design and I’m sure they’ll be a popular choice in the near future. They also have a rewards program which I haven’t had the time to fully look at but it offers rewards such as Visas for using their services. I’ve asked about an ETA for their beta ending and future pricing changes but I haven’t gotten an answer. I’ll make sure to update this post when more info comes (and VPS discounts)!